Christ United Methodist Church 1020 S. Valley Forge Rd in Lansdale. Come see all the fun we have in Cub Scouts! 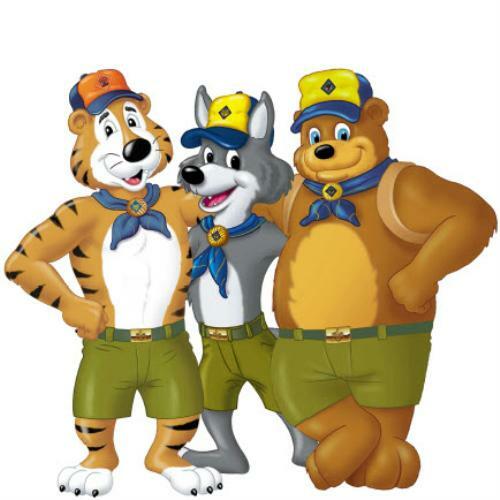 Cub Scouting teaches many fun and valuable skills--swimming, first aid, camping, friendship and more! Any boys in grades 1 through 5 interested in scouting are invited to join us. Bears (3rd grade), Webelos (4th grade), and Arrow of Light (5th grade). Cub Pack 397 is chartered to (sponsored by) Christ United Methodist Church on Valley Forge Road and draws scouts from Inglewood Elementary. Most pack and den meetings are held at the church. Each month, Tigers, along with a parent, will go on an "Adventure" over the course of three den meetings . Tigers also participate in monthly Pack meetings with skits, songs and recognition of their achievements! In all other dens the scouts work with their leaders on their "Adventures"
Parkside Place in Upper Gwynedd for a day of fun. Don't miss the giant ice cream sundae! Camping: Several camping trips are planned. Scout Oath: On my honor, I will do my best to do my duty to God & my country and to obey the Scout Law; To help other people at all times; to keep myself physically strong, mentally awake, and morally straight.